Iontophoresis, also called electromotive drug administration (EMDA), is a technique using a small electric charge to deliver a medicine or other chemical through the skin; essentially it is an injection without a needle. Tap water iontophoresis, one of the treatment options for hyperhidrosis uses an electrical current to introduce ions into the body through sweat-glands using regular water from the tap. How does Iontophoresis treat Hyperhidrosis (excessive sweat)? The mechanism of treatment of hyperhidrosis through iontophoresis is not well understood but is thought to somehow involve the obstruction of eccrine ducts, thus reducing the generation of sweat from the treated body part. This treatment requires regular application as epidermal renewal leads to return of sweat production after some time. 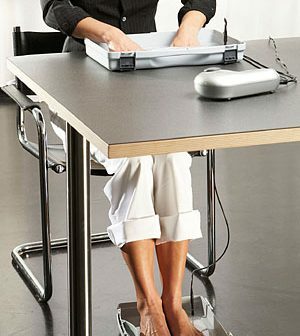 Due to anatomical and functional constraints, this technique is most effective for palmo-plantar hyperhidrosis (excessive sweat in hands and in feet). Off-late, manufacturers have also come up with ionto devices to treat other body parts such as face and underarms through iontophoresis. Wires to connect the current source to the tray. 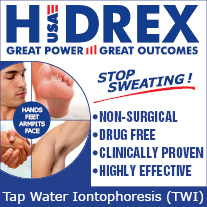 RA Fischer, Drionic, Hidrex and Idromed are some of the most popular manufacturers of ionto devices for hyperhidrosis patients (see here for details, comparison and reviews). These machines are relatively similar, but can have considerable differences in terms of the ease of usage, control options, current type, current source type etc. The devices range upwards of $100 with more expensive ones costing much more.You can also make a basic iontophoresis machine at home (see here for instructions). It is not entirely understood how iontophoresis treats hyperhidrosis. 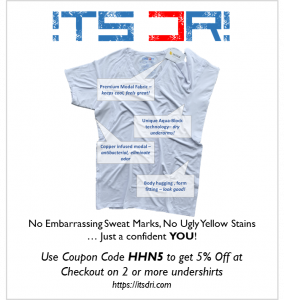 As a result, you will get very polar comments and often unsubstantiated claims on internet (the manufacturers of the device claim that the treatment is “proven” to be effective for hyperhidrosis, while some others claim that it does not work). However, as with most such things, the truth is somewhere in between. There is a lot of anecdotal evidence that Iontophoresis is effective for hyperhidrosis (including yours truly), and a large number of patients have claimed to seen effective, long lasting results for their hyperhidrosis condition through this treatment plan. Over the course of last few years of my attempt to know more about hyperhidrosis and taking to a large number of patients through this website, I personally believe that this treatment option works for most of the people and at-least one research suggests that iontophoresis may be effective in 80% of the cases. In any case, iontophoresis has worked very well for me, and I will strongly recommend this to anybody who hasn't tried it yet. Another consideration – no serious adverse effects have been ascribed to this treatment technique. So it may be worth trying if you have not already done that. There is very little to loose and a lot to gain. Mild electrical currents are produced using a battery or electric outlet. The treatment can be easily performed at home unaided. Iontophoresis is generally considered safe, and side effects are generally limited to mild “pins and needles” tingling and mild reddening of skin. In very few cases, painful stinging, itching, small vesicles and mild shocks can also occur. For most people, the initial few sessions are mildly discomforting, but not painful. A lot depends on the iontophoresis machine being used and the type of current – pulsed current is generally considered to be better with less irritation as compared to direct current. Also, application of a jelly based product on any exposed cut/rash on the skin of the area being treated can significantly reduce the discomfort. Who should not do iontophoresis?